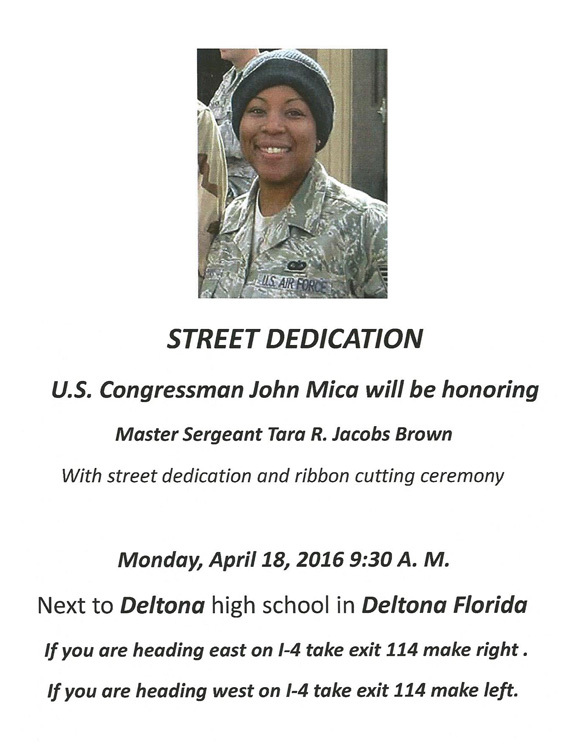 A street in Deltona, Florida will be permanently named to honor our fallen hero, Master Seargent Tara R. Jacobs Brown. with a street dedication and ribbon-cutting ceremony. 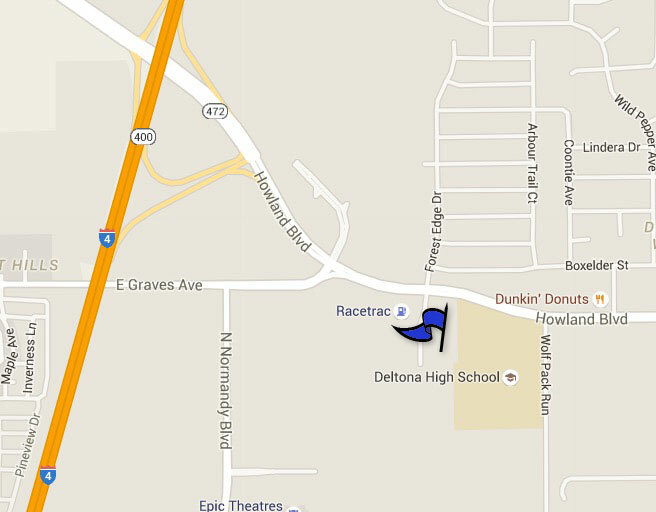 The street is appropriately located next to Deltona High School where Tara attended and was known by family members and many friends who attended there and knew her. Order a “MSgt. 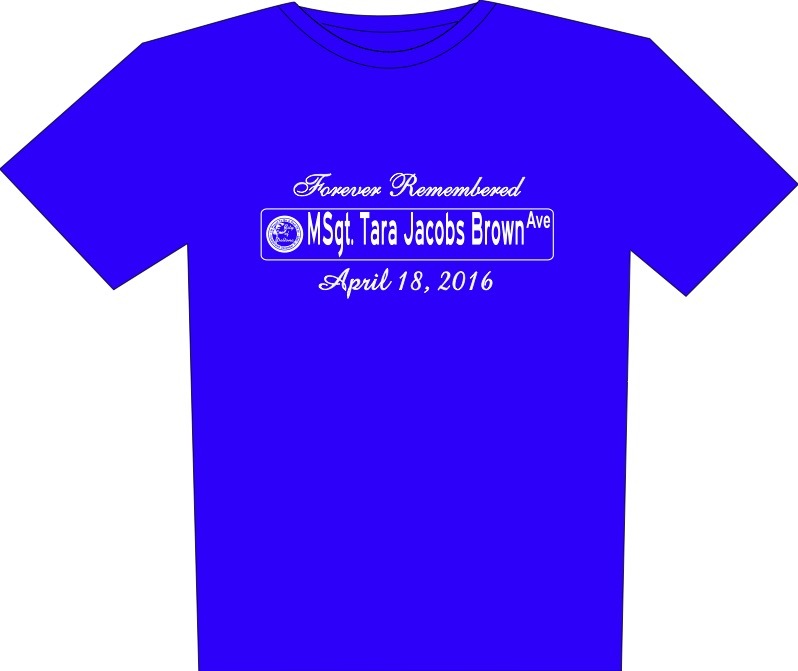 Tara Jacobs Brown Ave.” T-Shirt while they last. T-Shirts only $15 each with the proceeds going to scholarships. To order, please contact us here through the site. "MSgt Tara Jacobs Brown Ave"